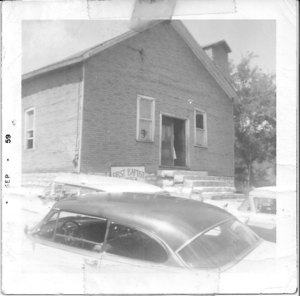 The church was established with just a hand full of individuals in the year 1900 and the small church building was located near Purdom's Grocery Store. 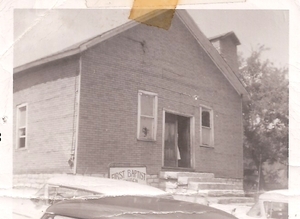 Sometime within the 1900's, the congregation voted to change it's location. Due to poor record keeping, the desire to move is unknown. The church purchased the land that the current church is built upon and it has been verbally passed down that the church marched from their location in Needmore to its current location here on Fifth Avenue North, on the west-side of the Lewisburg square. 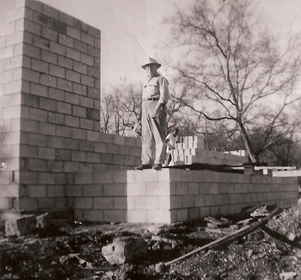 The new church was erected under the faithful leadership of Pastor Miller. 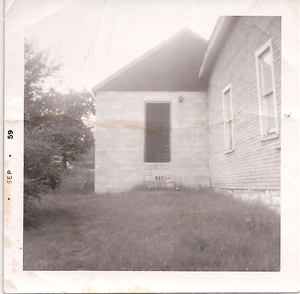 The church consisted of one room and the only heating source was a wood and coal stove. The church building had a very small steeple which housed a bell over the entrance. This bell was used to indicate the beginning of the Sunday School hour and worship service. 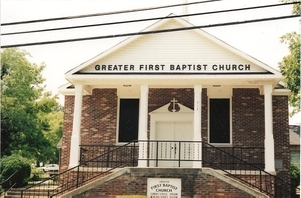 In the 1900's, First Baptist Church was served by many pastors. Pastor Miller, Pastor Riley. Pastor Smith, Pastor Evans, Pastor Blackmon, Pastor S.L. hall, and Pastor W.J. Malone. These men served the church faithfully. However, due to lost records and poor-record keeping we will never know the accomplishments of each pastor's ministry. Nevertheless, records indicate that under the leadership of Pastor S.L. 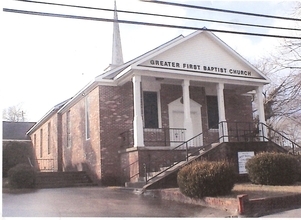 Hall First Baptist church obtained its first piano in 1930. In 1941, Pastor Willie Payne Johnson became the servant-leader of First Baptist Church. Pastor Willie Payne Johnson would travel to Nashville, Tennessee every other weekend to serve the church even though the church could not afford to pay him much. Nevertheless, it was under Willie Payne's watch that the church experienced tremendous spiritual growth, numerical growth, and building expansions. Pastor Charles Vanleer of Nashville, Tennessee was credited with placing Pastor Willie Payne Johnson in the pastorate at First Baptist Church. When Pastor Willie Payne Johnson began to serve the church, records indicate that he begin with only six members and the church assembled to worship only twice a month. These 6 members were female members. Under his hard work and determination, the Lord began to use Pastor W.P. Johnson to increase the church congregation. Pastor W.P. Johnson and the church organized a strong Sunday School Ministry by departmentalizing. This organization gave birth to Baptist Young People's Union, Missionary Society, and ministries that were used for spiritual knowledge and growth. Also, the church began to organize church and community ministries such as choir, Usher's Ministry, and Mother's Board (Deaconess Ministry). Even though the church grew numerically, there were still a limited number of men in the church. In 1959 God increased the male population. 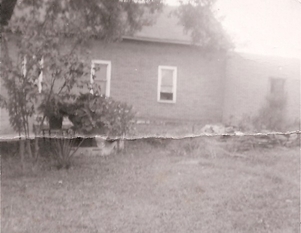 It was in the period of 1959 to mid-sixty the church began worshiping every weekend. The church took on a major project to renovate the church; transforming the one room building into a sanctuary with a choir loft and indoor restrooms. In 1984 the church began a major expansion project which started in 1984 and was completed in 1985. 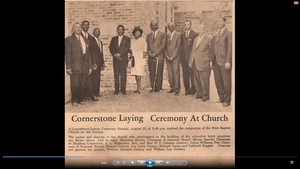 There was a great Dedication Service held in May 1985 to celebrate the completion of this expansion project.. Pastor J.C. Wray was the preacher for this grand occasion and it was at this time that Pastor Johnson requested that the name be changed from First Baptist Church to Greater First Baptist Church. Pastor W.P. Johnson's faithfulness and love for the church was rewarded by God. God called men to assist him in the preaching ministry. Pastor W.P. Johnson licensed and ordained the following individuals for the preaching ministry and credit to Pastor W.P. Johnson's leadership and training these individuals became shepherds of other churches: Pastor William Dukes, Pastor William Wray, Pastor Michael Pigg, Pastor Keith Davis, Pastor William Herbert Johnson, which is Pastor W.P. Johnson's son and youngest child. In 1990, the church was motivated and moved by the Holy Spirit to continue improvements on the physical church building. Mr. Eugene Harris devoted his time and energy to make the congregation more comfortable when they assembled for worship. Mr. Harris petitioned International Comfort Products Industry of Lewisburg, Tennessee to equip the church with its first air and heating unit. In 1994, the women of the church operated in the unity of the Spirit to make additions to the church as well as renovate certain areas of the church. An outside ramp with a canopy was added to the back entrance of the church building and the back entrance was expanded to provide a foyer to improve entering and exiting of the building. It was during this time that the church came together to add a "Prayer Room" for God's people to pray. 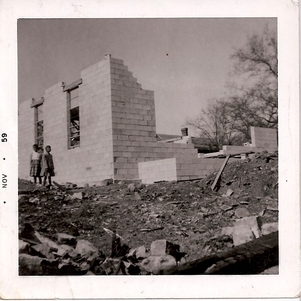 This room was developed by Mr. and Mrs. Arnold Quarles. The church was also led by the Holy Spirit to provide Pastor W.P. Johnson with a more luxurious office for study and counseling. 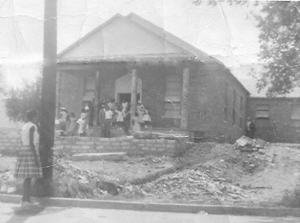 In 1995, the congregation completed many more projects to face-lift the church building. These projects included new tiled floor in the back entrance and hallway, carpeting of the choir and Usher's rooms, a handicap ramp into the sanctuary, renovation to the ladies' restroom, and a complete makeover of the church fellowship hall and kitchen. In 1996, the church moved into the tech age by developing a media room with professional style office furniture and a computer to ensure documentation of church attendance, finance reports and records, and the ability to create our own church programs. Pastor W.P. 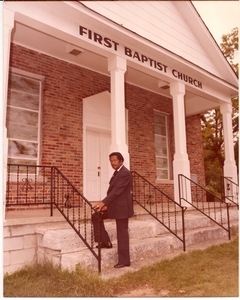 Johnson served as the servant-leader of First Baptist Church and Greater First Baptist Church for 57 years. During his tenure at Greater First Baptist Church, he also served at Mount Carmel Missionary Baptist in Chapel Hill, Tennessee. On the second and fourth Sundays of every month, Pastor Johnson would proclaim the gospel in the pulpit of Mount Carmel, then, he would exit that pulpit and arrive in the pulpit of Greater First Baptist Church just in time to proclaim the gospel. This process continued for many years. He was equally loved by both churches and he dedicated his life to ministering to both equally. In 1997, the health of Pastor W.P. Johnson began to deteriorate after he endured a stroke. It was during this time the church called his son, Reverend William Herbert Johnson, to serve the church as interim pastor. Pastor W.P. Johnson 's health did not improve and he made the decision to become Pastor Emeritus. 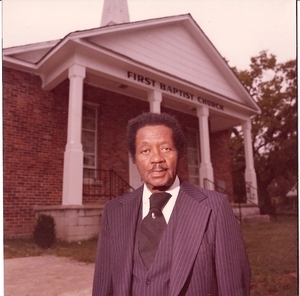 In September of 1997, the church voted to call Reverend William Herbert Johnson to serve as as its servant-leader (pastor). 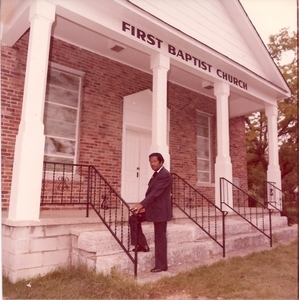 Under Pastor Herbert Johnson's leadership, the church continued its blessed tradition of spiritual and numerical growth. God continued to add people to the church. The increase of members created opportunities for ministries. God called Donald Coney to the preaching ministry and Pastor Herbert Johnson licensed him in April 1997. Reverend Coney felt led by the Holy Spirit to develop the ministry of "Evangelism." 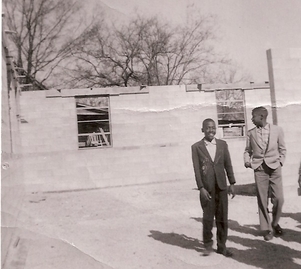 His ministry prompted church members to evangelize the community. Reverend Donald Coney is currently serving True Vine Fellowship Missionary Baptist Church in Columbia, Tennessee. As God continued the growth of the church, God called another associate minister to assist Pastor Herbert Johnson. In 1998, Reverend John Conner was called by God to the preaching ministry and Reverend John confessed that he was called to serve the youth of the church. Thereafter, Minister Conner became the youth minister of Greater First Baptist Church. 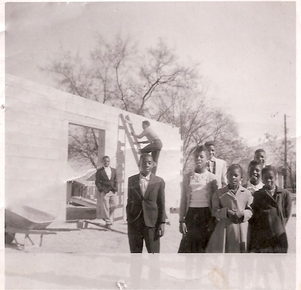 Pastor Herbert Johnson's pastorate continued to experience the blessings of God upon God's people and building. God persisted in motivating the membership of Greater First Baptist to work in unity. 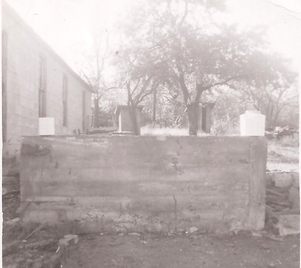 The following projects are symbol and sign of cooperation and unity in the church; the men's restroom was completely renovated, a brand new roof on the church building with the assistance of Marshall County, a storage building was built by the Men's Ministry, and many other small projects were completed by the church to face-lift the church. Under Pastor Herbert Johnson leadership there were many ministries strategically developed to assist church members in church life and private life. For example, Brother Gregory Pigg was led by the Holy Spirit to implement Crown Ministry to assist people with managing their finances and developing a closer walk with the Lord. Minister Donald Coney implemented Sharing Jesus Without Fear. This ministry was designed to strengthen the church in sharing the gospel. The above ministries pushed others to step forward in creating and developing other ministries within the church such as Praying Husbands and Wives Ministry, Men's Ministry, Disciples In Prayer Ministry, Prayer-Line Ministry and One Hour Prayer Ministry, Church Letter Ministry, Nursery Ministry, Great Commission Ministry, Grant Writing Ministry, Computer Ministry, and a host of other ministries. It was during this time that Pastor Herbert Johnson encouraged the church and organization to view themselves as a ministry and not an organization or board. In the year of 1999, Pastor Herbert Johnson shared the vision of a complete new church facility with the congregation. The Deacons, the Financial management Ministry, and the church members began to cooperate and operate toward completing this vision. The church is currently in the process of making this vision a reality. God continued to call men and women to the preaching and teaching ministry under the leadership of Pastor Herbert Johnson. In May 2005, Valorie Johnson was licensed to preach the gospel and she was to become the first female to be ordained in the church (July 6, 2006). in September 2007, Dr. Larry Thomas and Carletta Webster were licensed to proclaim the gospel. Currently, the church has four associate ministers who serve the church, the community, and surrounding counties faithfully preaching and teaching the gospel. In the year 2002, the church became a member of the Tennessee Baptist Convention through the convention's Cooperative Program. This created the opportunity for the church to hold membership and participate in the Southern Baptist Convention and the National Baptist Convention, Inc.